Any dog in California seized from an illegal fighting ring in California will no longer be considered inherently vicious according to recently enacted legislation. A welcomed new law, California Assembly Bill #1825, was approved and signed into legislation by Gov. Jerry Brown on July 25, 2016. The law now excludes dogs seized from fighting rings, mostly all pit bulls, from automatically being branded as “vicious”. This bill now amends Section 3163 of the California Food and Agriculture code relating to dogs. Existing law in part defines a vicious dog as “any dog seized from a fighting ring whose owner was convicted of a felony for animal cruelty, which includes dog fighting“. Hence, all seized fighting dogs, without consideration of the temperament of the individual dog, are considered vicious. And in most cases being labeled in this way invariably results in a death sentence. Fortunately, the law has now been modified in a way that will allow judgment of the temperament of a seized fighting on an individual basis. Once seized, it becomes obligatory to accurately assess the dog’s temperament. This is significant because on most occasions a seized fighting dog will perfectly fine with humans towards but very aggressive towards other dogs. However, even if is the case, it is important to realize that that most fighting dogs can be successfully rehabilitated as demonstrated in the well-publicized case of the pit bulls owned by Michael Vick. The modification of this law makes perfect sense. 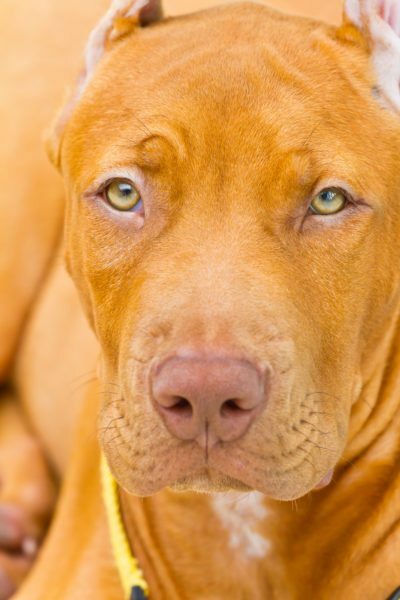 A fighting dog is not necessarily a dog with an inherently faulty temperament. Rather, it is a dog whose behavioral tendencies have been intentionally modified through inhumane techniques such as being confined in small cages, treadmill running to the point of exhaustion, restraint with heavy chains and being jacked up on supplements and steroids in order to increase musculature and strength. Nonetheless, dog fighting which is intentionally taught is largely a learned response and a fighting dog can usually be successfully “reprogrammed”. Some parts of Section 31603 of the Food and Agricultural code have not been changed, however. For example, the code continues to define a vicious dog as being “any dog that, when unprovoked, in an aggressive manner, inflict severe injury on her kills a human being.” This definition is problematic, however. Lawmakers apparently have not given detailed thought to the critically important word “unprovoked”. The term is vague and open to different interpretations. Nowhere in the California Food and Agricultural code is this term provocation clearly defined. Provocation is an animal behavior term when applied to dogs. It therefore requires objective definition. For example, was a dog’s aggression provoked in any given dog bite instance in which the victim was severely injured? An answer to this important question requires an animal behavioral perspective. Hence, the code needs improvement. Hopefully, in future revisions, California lawmakers will understand the benefit of basing important definitional terms, like provocation, on knowledge from animal behavior.